When I mention Playa Del Rey, one the most common responses I get is, “Where is that again?” The tiny little beach town nestled between Marina del Rey, Westchester, and the Los Angeles International Airport has been referred to as a “hidden gem” and “the land that time forgot” thanks to its sleepy atmosphere and tiny collection of trek-worthy restaurants, but the recent addition of the restaurant-meets marketplace-meets watering hole, Playa Provisions, might be a sign that “Playa”, as locals call it, won’t stay hidden for long. 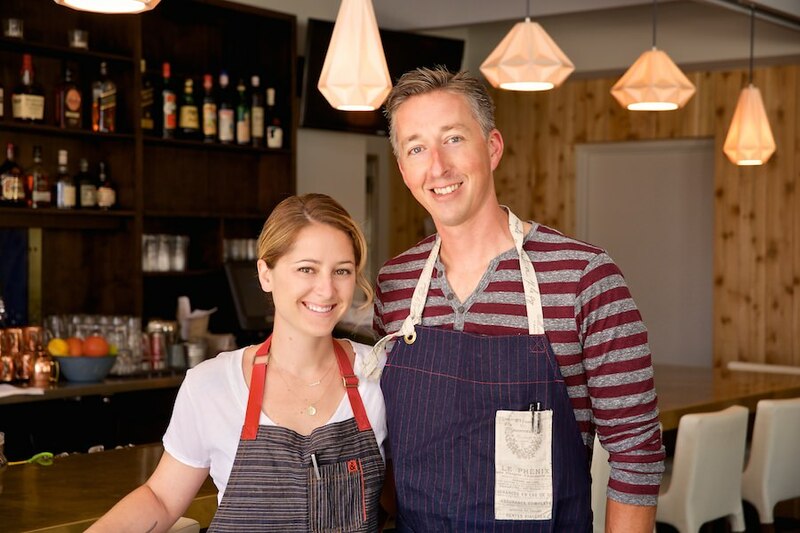 Playa Provisions is the third venture for Top Chef runner up Brooke Williams and husband Nick Roberts and brings four separate culinary concepts together under one roof to create an epicurean playground. The venue, which is delightfully beach chic from the menu to the décor, opened in stages beginning with the May 23rd unveiling of King Beach, the deli-style café, and Small Batch, the artisanal ice cream bar replete with house-made Choco Tacos and handcrafted popsicles. Dockside, the full service dining room, opened on June 7, shortly followed by whiskey bar Grain. In a few short months, Playa Provisions, which is featured in this month’s issue of Los Angeles Magazine, has received considerable praise for its innovative approach to both the overall dining concept as well as the menu. Classic beachside staples like Seafood Louis Salad and Lobster Rolls are juxta posed with Deviled Crispy Chicken Skin Toasts and Spaghetti Squash Hush Puppies to make the dining experience at Dockside comfortingly familiar and still intriguingly novel. The lighter fare of King Beach includes fresh salads and sandwiches that would be perfect for a last-minute beach picnic and Small Batch’s decadent ice creams in flavors like Cheesecake and Thai Tea along with the curated selection of fine whiskeys at Grain provide plenty of options for indulgence. So, if you’re still not sure where Playa is, get yourself a map, because with unique culinary venues like Playa Provisions coming to town, your taste buds can’t afford to be out of the loop.